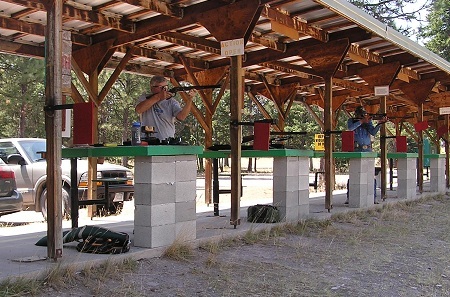 The day-use range for non-members is open 4 days a week. It is closed to everyone including members on Tuesdays and Wednesdays and Thursdays (as of July 1 2017). 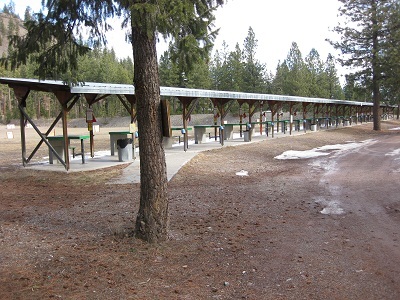 There are twenty-four covered firing points for shooting between (25) and (200) yards and the shotgun range for clay pigeons. They are available from 9:00 a.m. until 8:00p.m. 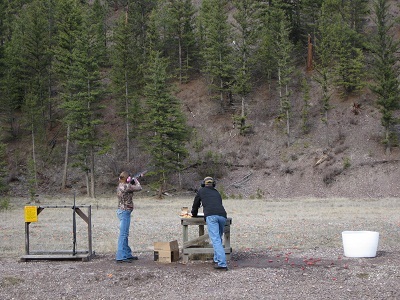 or dusk, whichever comes first, The fee for using this range is $5.00 per day per shooter as of 9-1-2015. Fees are payable at the left side of the sign in hut directly in front of the gate. Correct change is required. 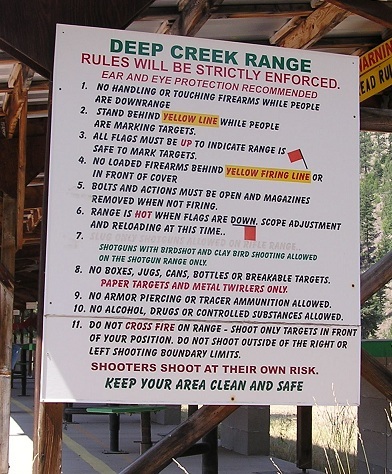 The red flag is an important safety tool for the public range. 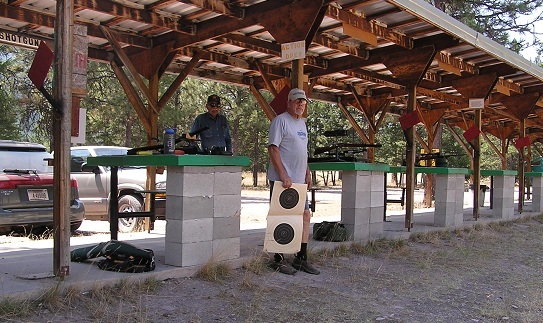 When the range is hot, put your flag down. 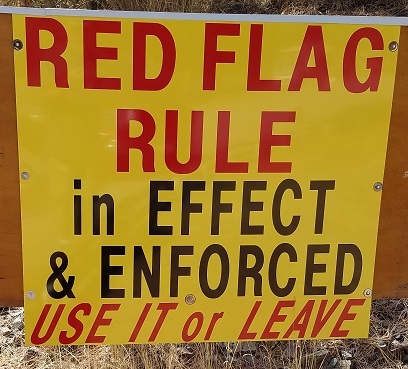 While any flags are down you may NOT go down range. When all flags are up the range is in a cease fire. 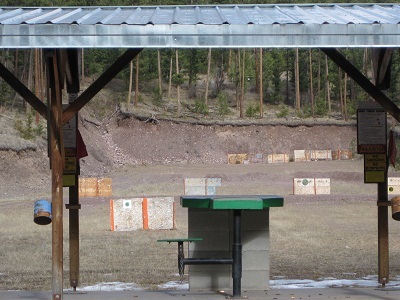 You may go down range and set targets when ALL flags are up. If you are not going down range when flags are up you may not handle any firearms for any reason. 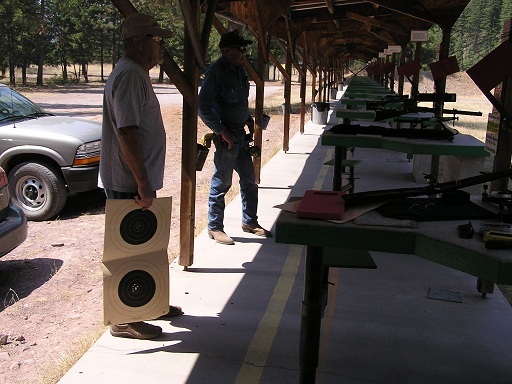 You must stay behind the yellow line if you are not setting targets down range.